Brandeis University Press, 9781611683370, 228pp. Practical Zionism in the Mandate era (1920–1948) is usually associated with agricultural settlements (kibbutzim), organized socialist workers, and the creation of a formal high culture. This book fills a gap in historical research by presenting a different type of practical Zionism in Jewish Palestine—urban, middle-class, and created by popular and informal daily practices. 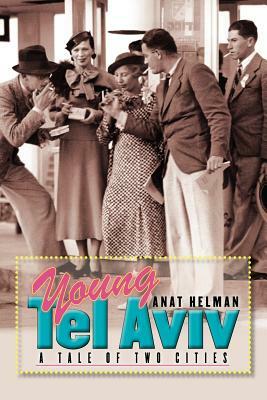 While research on Tel Aviv has so far been confined to “positivist” historical description or focused nostalgically on local myths, Helman’s book reconstructs and analyzes the city’s formative decades on various levels, juxtaposing historical reality with cultural images and ideological doctrines. Topics include the city’s physical portrait, major public events, consumer culture, patterns of leisure and entertainment, and urban subcultures. ANAT HELMAN is a senior lecturer in the Department of Jewish History and Contemporary Jewry and in the Cultural Studies Program at the Hebrew University of Jerusalem.